According to the CSU Chancellor’s financial audit, only about 35% of the university’s operating costs went “directly to instruction”- the primary mission of the CSU. During 2008-2012, CSU spent $6 million on raises for 550 managers, while rejecting recommendations from a third party to spend the same amount on raises for faculty.  In November 2014, the BOT voted ‘yes’ on CSU executive pay increases of 3.0%. That raised the Chancellor’s salary to $422,300 in pay, not including housing and car allowance. Not a single CSU campus has had an increase in tenure-line faculty consistent with student population growth over the last decade. In fact, at a number of campuses where the percentage loss in permanent faculty was greatest, there was also a robust increase in administrators. 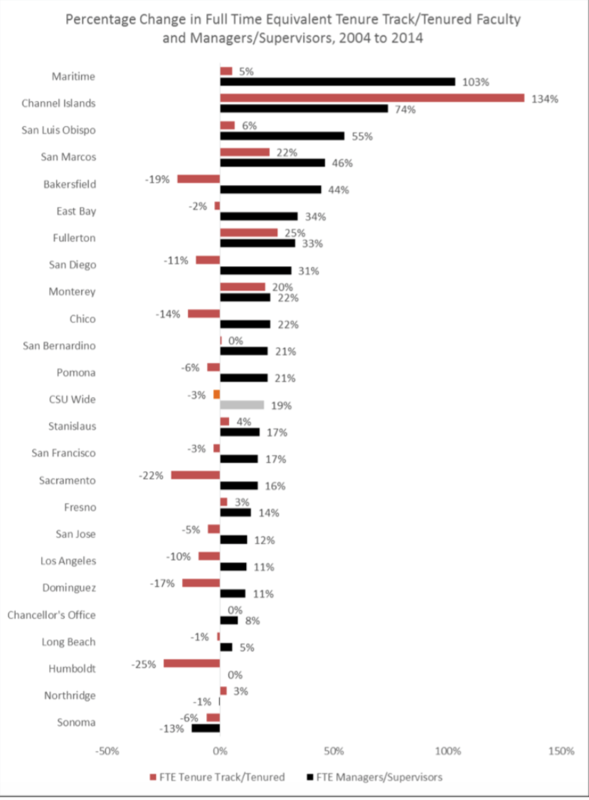 These contrasts are most glaring at Bakersfield, San Diego, Chico, Sacramento, Los Angeles, Dominguez Hills, and Humboldt. At 22 campuses, the average manager/supervisor salary increased more than the average faculty salary. The standout campus is Humboldt, where the average faculty salary has only increased by a shocking 1% while the average manager/supervisor salary has increased by 42%. 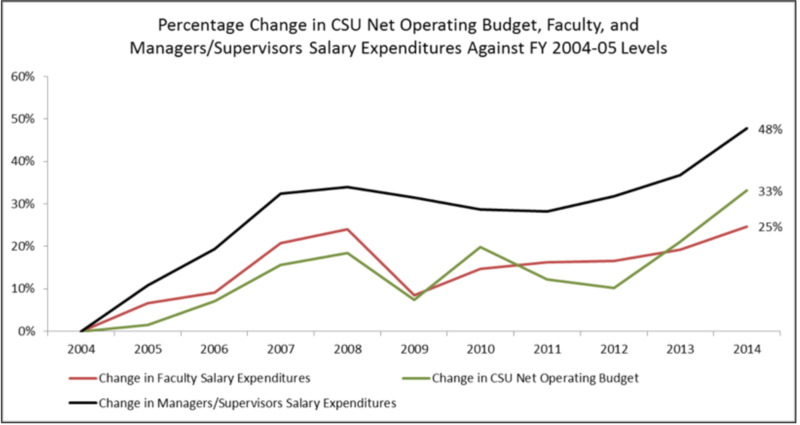 In what is now a familiar pattern, CSU presidential raises were significantly larger than increases in the average CSU faculty salary from 2004 to 2014. System-wide, the average faculty salary only increased by 10% while the average campus president salary rose by 36%. The gap between campus president’s pay and average faculty salary also widened on all 23 campuses.